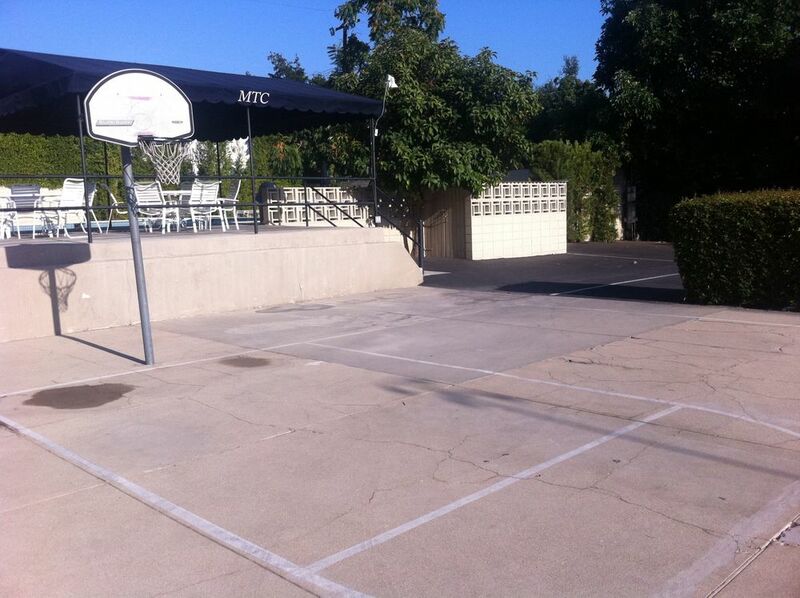 The Monrovia Tennis Club (MTC) was formalized in 1935 when a group of local tennis players incorporated the Club and purchased the land on Sunset Avenue in the foothills of North Monrovia. 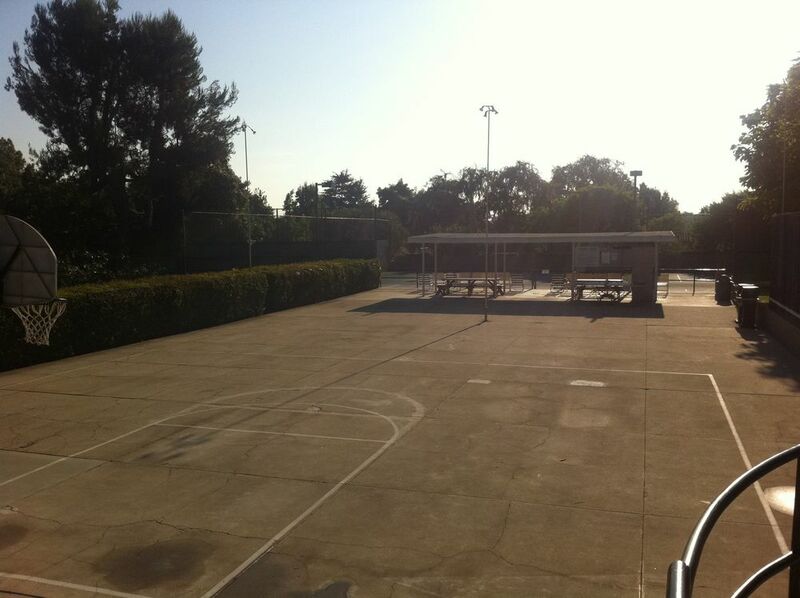 The swimming pool was the reservoir that irrigated one of the orange groves that dominated the area; the original tennis court is now used for basketball, roller-skating and other club activities. Today 80 member families enjoy modern, well-maintained courts (2) that are lit for evening play and screened for privacy. The clubhouse is used for member-sponsored parties and Club sponsored events. Managed by volunteer members the gate guarded grounds allow for families, friends and guests to play tennis, swim, barbeque and enjoy a quiet and safe environment. 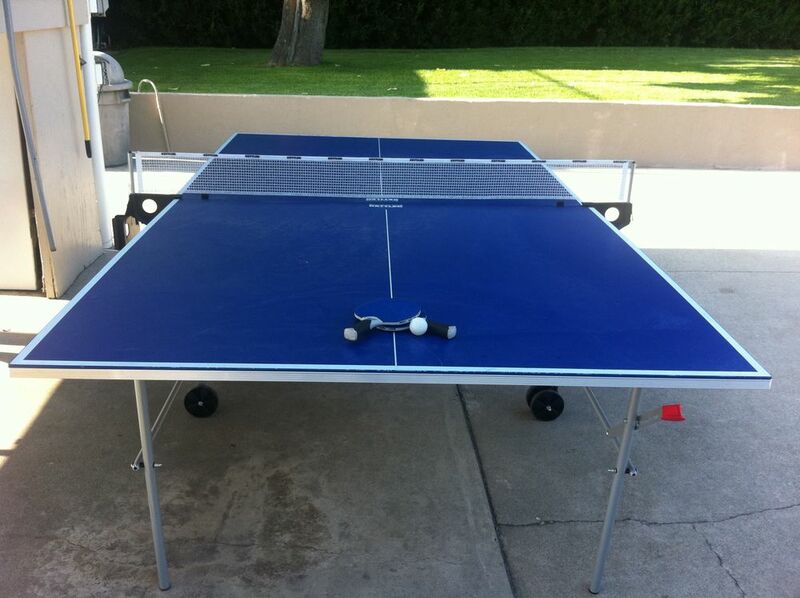 Tennis activities include 8 men’s, women’s and mixed tournaments each year. 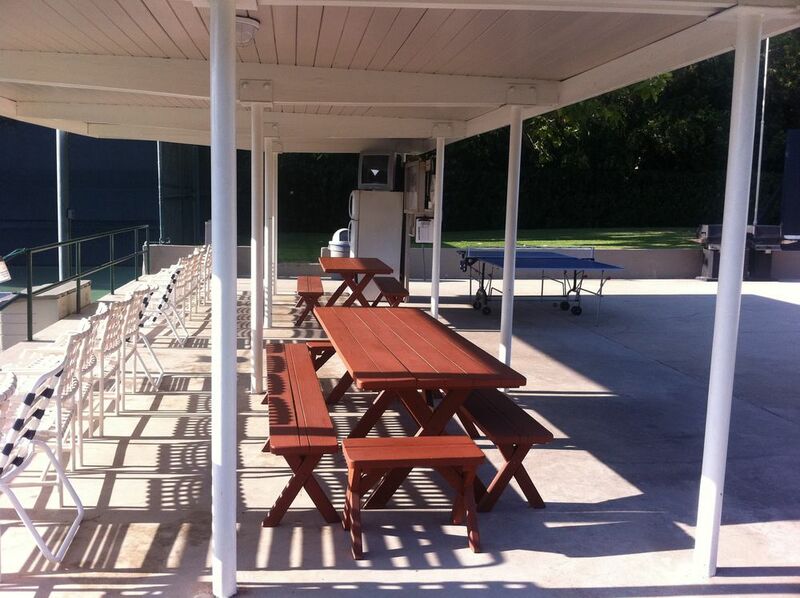 Evening “open” tennis during the summer is enjoyed by men and women and followed by a barbecue; beginners and seasoned players alike enjoy weekly tennis group lessons and practices. Men’s doubles tennis occupies Saturday mornings; women’s on Wednesdays and families on Sunday afternoons leaves the courts open for individual matches. 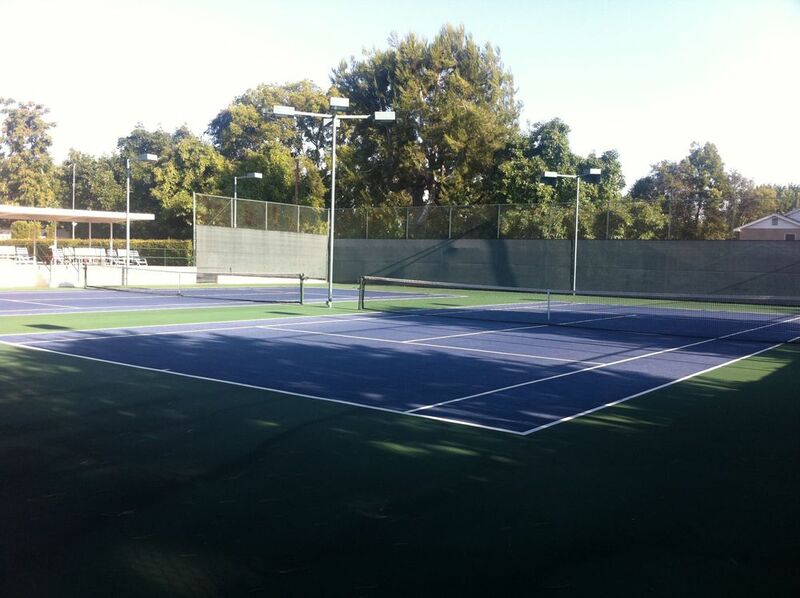 Asphalt surface, USTA Regulation courts, Lights available until 9 pm PST. Shallow swimming pool starts at 2 ft depth to max of 4 ft. 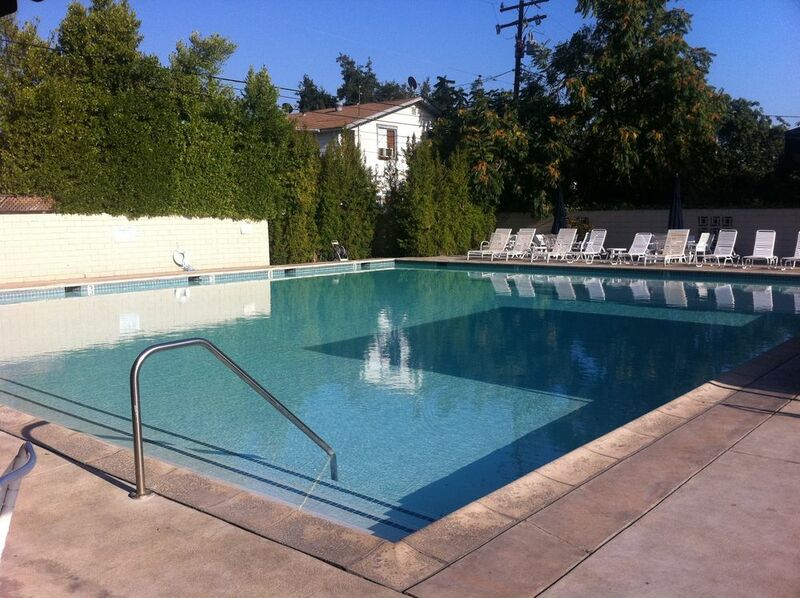 The pool is not heated and available year around with certain days for cleaning. The pool is great for kids as its max depth is 4 ft. 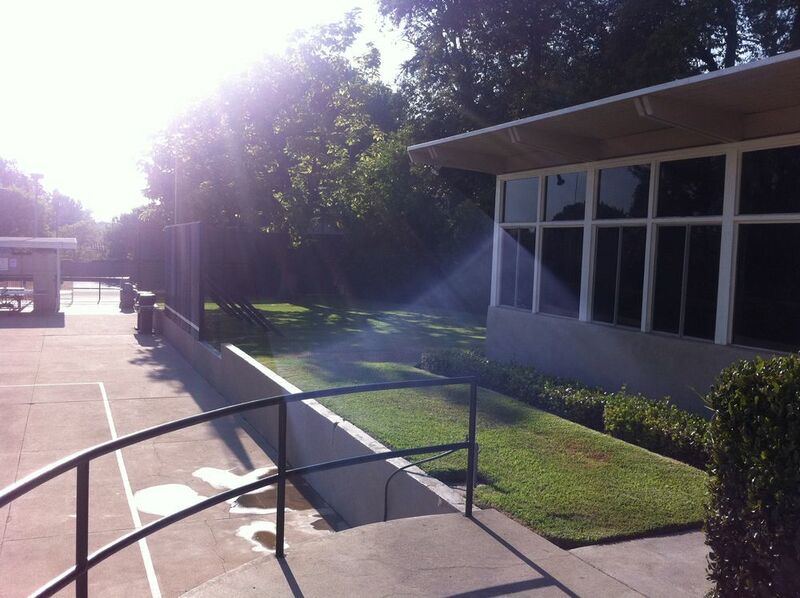 The Monrovia Tennis Club membership is limited to 80 families of three classes of membership. Associate membership is for new members. Associate members have all of the membership rights as regular members, except the privilege of holding office. The Associate Membership is limited to 20 families; an Associate Member automatically becomes a regular member whenever a vacancy occurs in the Regular Membership in order of seniority. Membership shall be in the name of one individual, if single, or husband and wife if married; privileges extend to all dependent children under the age of 25. Members are entitled to the use of the tennis courts, pool and grounds subject to the rules and the By-Laws. Members may bring guests but will be charged a nominal fee for each guest. The clubhouse shall be available to members by approval of the Board of Directors and subject to the rental fees established. Every member is required to serve on a committee or work group every year, those who do not participate are charged a $75 fee. Member volunteers run the club and every member is encouraged to participate in events, serve on the Board of Directors and enforce the rules. The privilege of Honorary Membership may be extended to long time members that have been active in the Club for many years, who want to participate socially but no longer actively use the facilities. Tennis players are encouraged to make application for membership. You must have letters of recommendation from two sponsoring members accompanying your application. Download Membership Application by clicking here. Click on the link below to enter a protected site for features available to Monrovia Tennis Club members.